Dwight Detter: A former Vietnam War era Veteran, Dwight spent 20 years in the Food Service Industry in San Francisco and Los Angeles before joining the grocery industry. Dwight has been with Whole Foods Market for 14 years. As a local forager for the past 3 years he been helping local start-ups get on to retail shelves. Dwight also teaches a series of 4 classes throughout LA, Orange County and San Diego in conjunction with the Fine Foods Group on developing local artisan businesses. 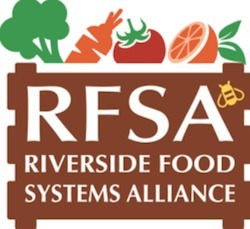 He works with community groups such as the Orange County Food Access Coalition, the San Diego Food System Alliance and county Farm to School groups. He is currently involved with developing a value added program with Archi’s Acres VSAT Program for returning Marines and Soldiers from Iraq and Afghanistan.